There are people who you dream about meeting that you never get to meet. There are several people who would fall into that category for me: Johnny Bench, the great baseball catcher; Thomas Keller, whom I stalked for a few minutes outside of The French Laundry one afternoon; and George Clooney, my doppelgänger. There are many people whom you want to meet and actually live up to your expectations: Cathy Corison, Jane Goodall, and Muhammad Ali all come to mind. Helen Mirren is pretty cool, and yes, she is smokin’ hot. Then there are those meetings that leave you a bit, well, wanting. Luckily, there are only a few that fall into this category for me, but I will not mention them here. Except for Joe Roberts of 1WineDude fame—that guy is a bit of a tool. I have been doing this blog thing for a little over four years now and through it I have been able to meet quite a few really interesting people, there are a whole host of others whom I hope to meet some day: Gary Pisoni, Andrea Immer Robinson (although I hear she will be at the Wine Bloggers Conference this year), and Randall Grahm, the wildly popular owner of Bonny Doon Vineyard in Santa Cruz. Although not exactly a meeting (OK, not even close), a few weeks ago I was sent a collection of wines from Bonny Doon to sample, all of which were either rosé or at least rosé-esque. 2015 Bonny Doon A Proper Pink: Retail $16. 69% Tannat, 31% Cabernet Franc. Cherry, watermelon and a bit of mango dominate the nose of this brilliant cherry red kool-aid colored wine. Round and pliant, nice tropical flavors with a fruity finish. Very Good. 87-89 Points. 2015 Bonny Doon Il Ciliegiolo Rosato: Retail $24. 100% Ciliegiolo (chee lee ay JOE lo). A new wine in the Bonny Doon line-up, which is fairly dark in color, in fact it is more of a light-ish red than a rosé. I would describe this as a “funky cherry” but funk in a musky, masculine sense (not in a Brett or flawed sense). This is a full-throttle rosé, one that could hold its own with most meals. Full, rich, and meaty, this is not a wine strictly for patio pontificating (although it would work there as well), this is a serious wine that is fun at the same time. Outstanding 90-92 Points. 2015 Bonny Doon Vin Gris de Cigare: $18. 44% Grenache, 20% Grenache Blanc, 12% Carignan, 11% Mourvèdre, 7% Cinsaut, 6% Roussanne. I know a little bit about Randall Grahm and the wines of Bonny Doon, but not a ton. I have had this wine before and liked it, but I have never written about it until now. Sniffing those fresh-cut strawberries with a tinge of rhubarb and a bit of funk. As I was watching the last episode of Mad Men (yeah, I am a bit behind the times when it comes to cult TV) this wine made me pause Netflix and take note of the wine. I really did not realize it until recently, but I am on a dedicated rosé crusade–rosés that were made to be just that, not, as described by Bonny Doon, “wines that are a by-product of red wine production.” This will not set you back all that much, so grab a bottle, don’t serve it too cold, put the Netflix on pause, and pay attention: this is what a good rosé tastes like. Outstanding. 91-93 Points. 2013 Bonny Doon Vin Gris Tuilé: Retail $26. 55% Grenache, 23% Mourvèdre, 10% Roussanne, 7% Cinsault, 3% Carignan, 2% Grenache Blanc. Where to begin? Even if you consider yourself rather well versed in beverages vinous, this is probably unlike any wine you have had before. Similar to perhaps Nicolas Joly’s wines, this will evoke a personal reaction. To say it’s “different” would be a grave injustice. Colors, cultures, and creatures can be different, this wine though, needs another metric. This wine spent “9 months al fresco in glass demijohn” and they did that on purpose. A golden orange color with a distinct oxidized curry nose, on the palate it is complex, but if it were not meant to be this way, it would be flawed. This is certainly one for the wine geeks out there. I find it interesting to drink and I might even “like” it, but this is not the wine to pull out for guests, and certainly not for the in-laws as they would immediately question their child’s choice of spouses. Unless, of course, any of your guests are as big of a wine geek as you, in which case this should be the first bottle you grab … and hope you have a second. This entry was posted in Carignan, Ciliegiolo, Cinsault/Cinsaut, Grenache, Grenache Blanc, Mourvèdre, Roussanne, Tannat, Wine. Bookmark the permalink. Based on your description, the last wine might exceed the limits of my wine geekiness…. Would love to hear what you would think of it! I’m a fan of Bonny Doon, Randall Grahm in particular. 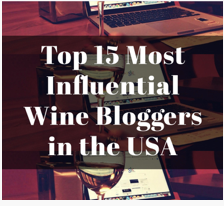 (I don’t know how many winemakers have “fans”, but Randall is one of them with a following…must be the all the writing, writing is the coolest)… I thought this post was going to reveal that you met Randall!! Let’s plot and plan an event he can’t refuse! Indeed! Road trip to Santa Cruz! You should watch the Aussie comedy film, ‘The Castle’, to see a reference to the other Bonny Doon. I’m all caught up on Mad Men, but clearly I’m behind on other things….when did the $6 Bonny Doon of my teenaged years actually start making wine? It is impossible to keep up on everything! Yeah, Bonny Doon has changed a bit…. Love the Helen Mirren selfie!! I certainly have gotten a ton of mileage out of that pic!